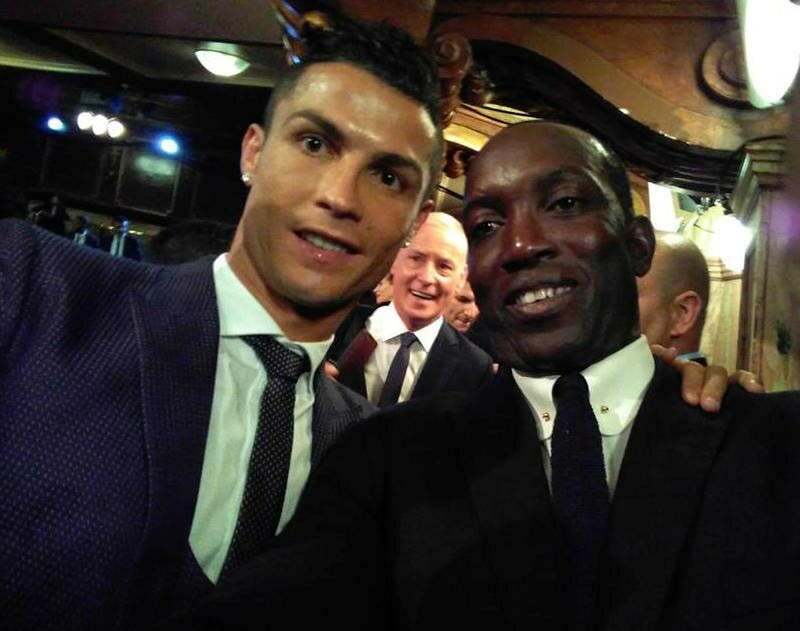 Dwight Yorke, right, takes a selfie with The Best FIFA Men’s Player Cristiano Ronaldo at the FIFA Awards yesterday in London. Former Trinidad and Tobago captain Dwight Yorke has extended congratulations to all the winners yesterday at the Best FIFA Football Awards ceremony in London. Yorke, who won the UEFA Champions League in 1999 with Manchester United, was photographed with several of the world’s top players, including Real Madrid’s Cristiano Ronaldo, who won the Best FIFA Men’s Player, Barcelona’s Lionel Messi, PSG’s Neymar Jr and Barcelona’s Andres Iniesta. In a press release yesterday, Yorke said: “I would like to specially congratulate the winners like the Best FIFA Men’s player: Cristiano Ronaldo; the Best FIFA Women’s Player: Lieke Martens; the Best Men’s Coach: Zinédine Zidane; the Best FIFA Women’s Coach: Sarina Wiegman and the Best FIFA Goalkeeper: Gianluigi Buffon. Reply to "Yorke congratulates FIFA awardees"